With many new year resolutions revolving around lifestyle changes, many of us dream of a bigger, better home for ourselves and our families. And with the help of the Internet and mobile, keen home buyers are completely switched on 24/7, looking for the right one to come on the market. As recent stats from Rightmove show, home buyers spend their holidays scrolling through property listings, with the number of home seekers increasing year on year. 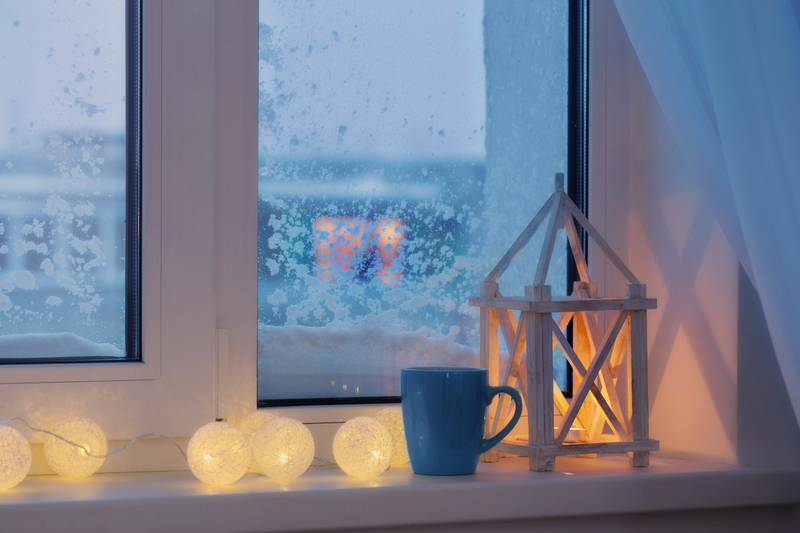 So if in the past winter was considered an unpopular time to put your home on the market, nowadays it is buyers who drive the demand and they are not deterred by mere weather any more. This is especially true in East Renfrewshire, where demand far outstrips supply at any time of the year. So if you have decided to take the big step of putting your home on the market in the cold months, here are a few suggestions to help you make the perfect first impression. In bad weather, but also in good weather the humble For Sale board can make a big difference as it signals to potential buyers who are not familiar with the area exactly where the home they will see is located. Keep the driveway as clear and as possible and put some grit so people make it safe inside. It is a well-known fact that home buyers spend more time choosing a sofa for their home than deciding on purchasing a home – and that is why a picture perfect outside is essential when putting your home on the market. Add a couple of fresh flower pots that can stand the cold temperatures, manicure your lawn and get rid of pesky moss and buyers will fall in love even before they make the first step inside. A widespread technique used in retail and home staging is using certain fragrances to make a viewing that much more pleasant. Smell is the sense that is most associated with memory triggers, so make sure your home has the right fragrance and entices your buyers. Fight the darker days by cleverly placing lights in all the important corners and flood your home with light. A bright space feels warmer and more spacious, so paying attention to lighting fixtures, cleverly adding mirrors to bounce light off as well as clearing your windows will give the feeling of air and space. Last but not least, keep your home warm so buyers have that lovely cosy feeling of being safe and welcome in your home. Read more on how to stage your home here.